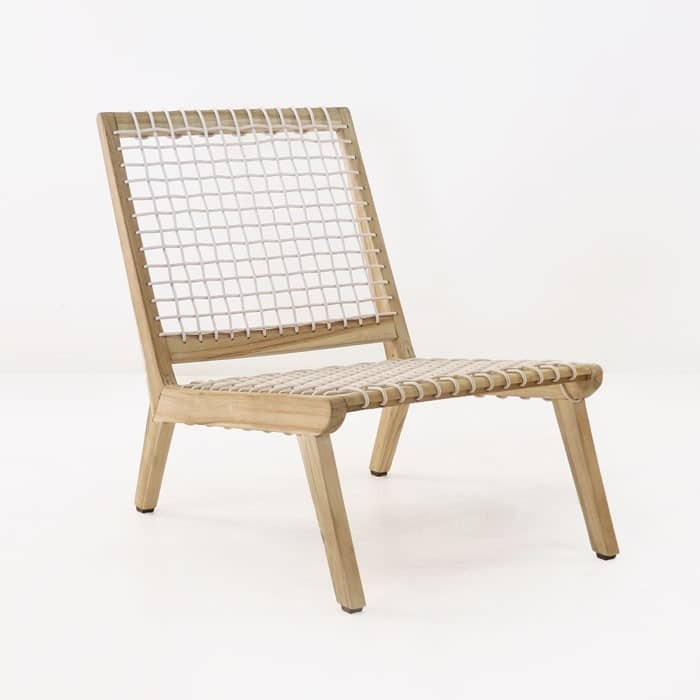 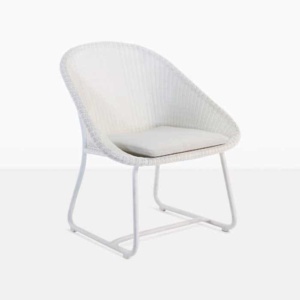 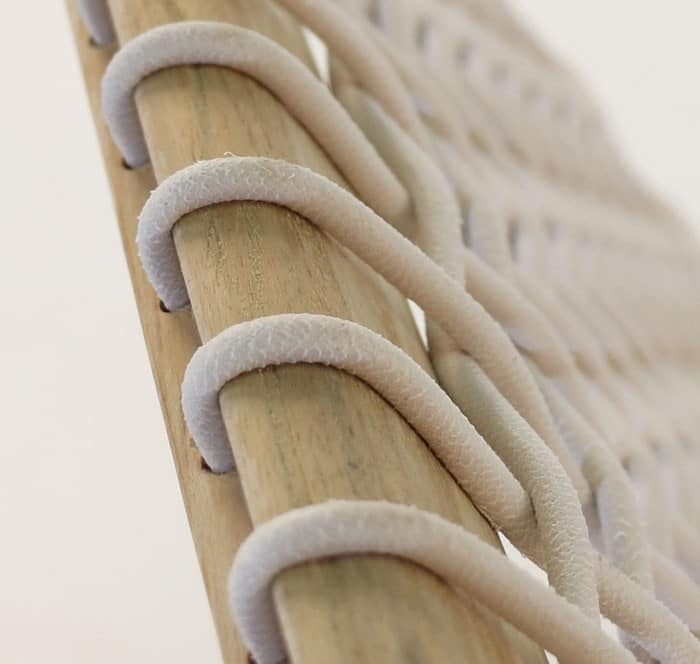 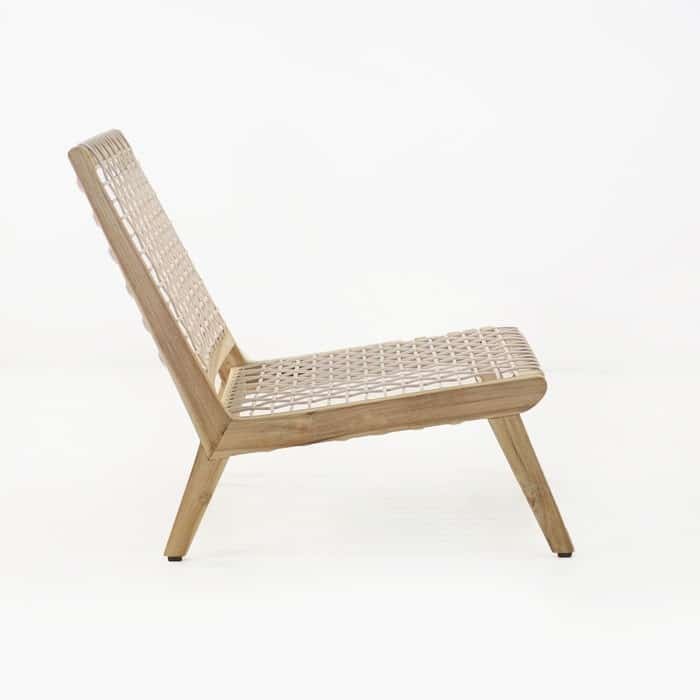 Long, lean, muscular and yet, low, inviting and relaxing: the Grace chair is a great new stylish relaxing chair made with teak treated to a lighter shade and an innovative new cordage made from polypropylene that offers a slight give and an airy feel for great comfort, without losing the clean lines of the piece. 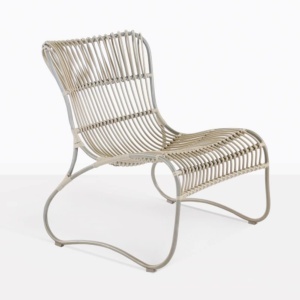 It is truly a piece to set your outdoor relaxation space apart from the others, with the modern design and gorgeous materials. 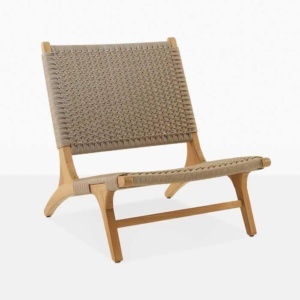 This relaxing chair is built to last too, with outdoor capable materials that will look amazing in many years from now, regardless of your outdoor environment. 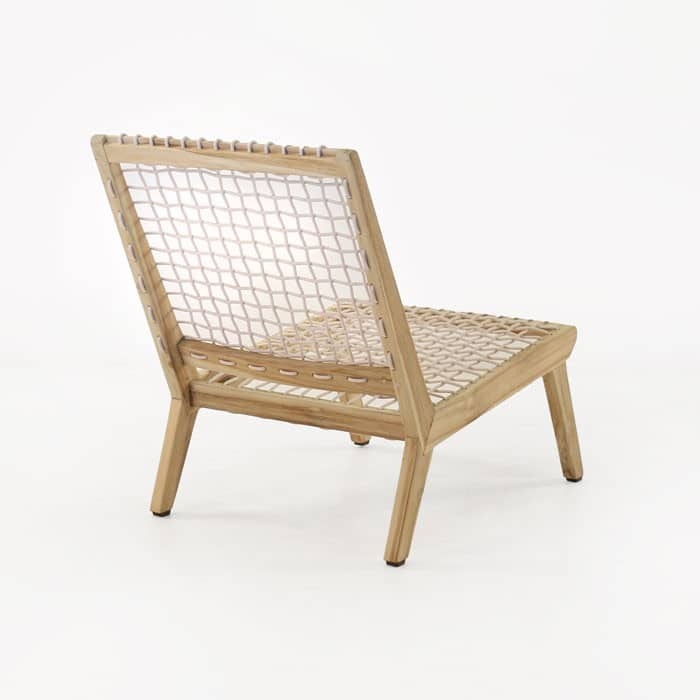 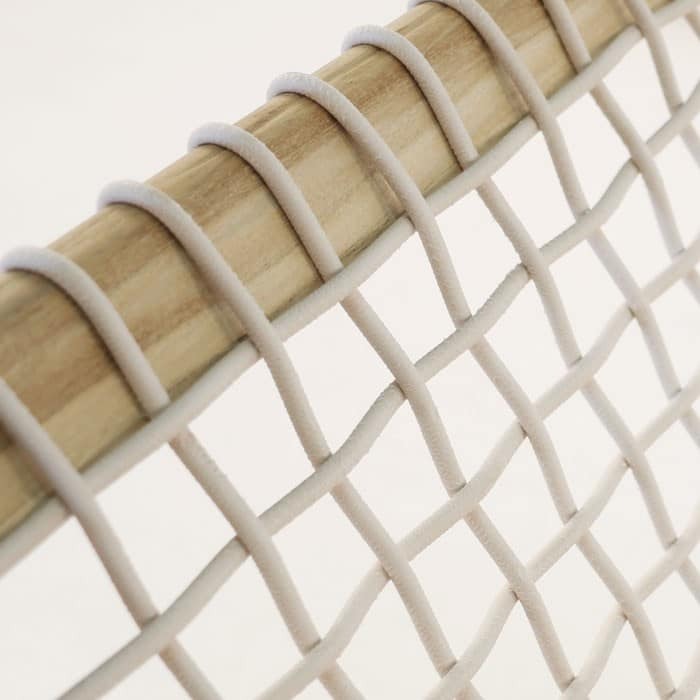 The teak frame will patina to that classic silvery look that teak is famous for; the synthetic cordage is outdoor capable and offers a fantastic weave pattern.